The Hülsta office collection is known for its straightforwardness, simplicity, innovation and its focus on practical features. With multiple table configurations and the extendable table concept, these office setups can be easily tailored to your specific needs. 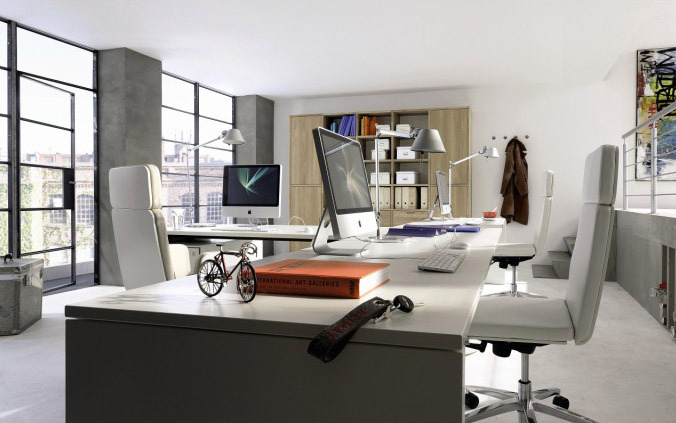 Hülsta offices have a clear design, with many practical features and a high level of workmanship. The combination of high quality processed single units and system components allows you to create some well thought out arrangements. No bounds are placed on your imagination when planning your office because of the combinations available with materials like aluminum, lacquer, veneer and glass.